Bruce Dyer, an ex-professional football player, is now the founder of love Life Sports Ground Grimethorpe. Bruce played at Watford Football club, Crystal Palace, Stoke City, Sheffield United, Doncaster Rovers and York City. He became somewhat of a local hero as he bagged 57 goals in 181 appearances during a five-year stint at Barnsley. 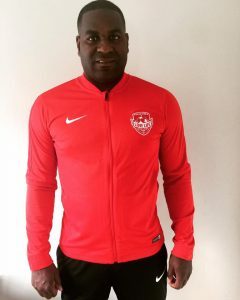 The travelling striker fell in love with South Yorkshire, and is now based in Barnsley where over the last 5 years Bruce has invested his time and energy coaching children and promoting youth development whilst giving back to the local community. Bruce works throughout 13 schools in Barnsley raising the aspirations of young people using sports to communicate valuable life skills that were key to his record transfer fee for being the first teenager sold for over £1mil from Watford to Crystal Palace in 1994.